for $77,000 with 3 bedrooms and 1 full bath, 1 half bath. This home was built in 1974. Perfect place to call home. Local shopping to include restaurants, Walmart, Lowes and Ft Bragg are minutes away.Large great room to greet guest. Huge eat-in-kitchen with updated cabinets and counter-tops. 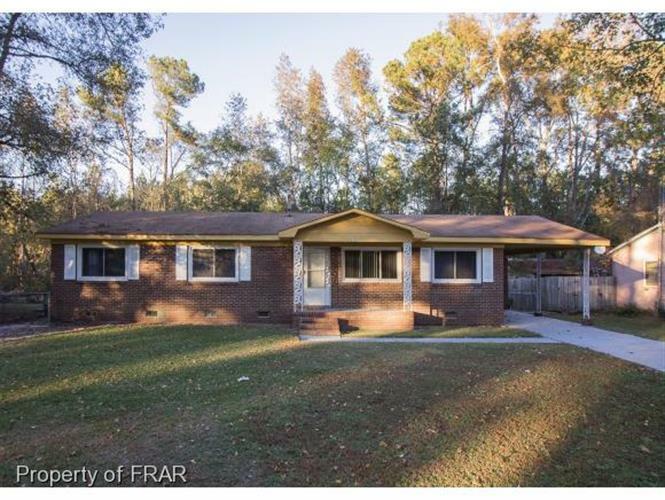 Also features a large room off from the kitchen perfectly shaped for a media room!From the carpet, vinyl flooring in both the kitchen and bathrooms, beautiful light fixtures, to the spacing, you don't want to pass by this lovely home. Schedule your showing today...it won't last long! !